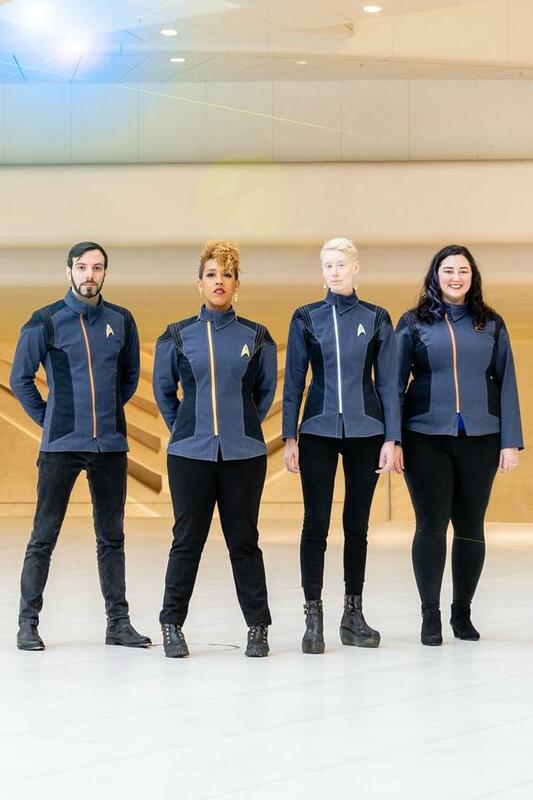 Volante Design (previously) scored a huge win last November with a line of licensed heavy denim, cosplay-adjacent Starfleet jackets that could be worn like Star Trek: TNG uniforms or like motorcyle jackets, depending on how you zipped them. Now Volante has announced a second set of Trek jackets: the $330 Starfleet 2256 jackets, inspired by the crew uniforms from Star Trek: Discovery, with cuts for men and women, designed to flatter bodies of all sizes. The new jackets come in four colors: "Command Gold," "Sciences Silver," "Operations Copper" and "Section 31."